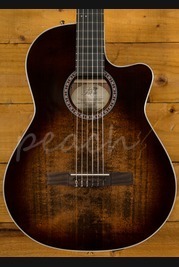 La Patrie Guitars are one of several acoustic brands operating under the umbrella of the highly renowned Godin guitars. Named after the town in which Godin originally commenced production, these guitars are handmade in La Patrie, Canada and are steeped in Godin tradition. Order your La Patrie online today, if you'd prefer to try before you buy then head on down to our store based in Colchester and we will be happy to assist. Our team of experienced guitar enthusiasts are always on hand online and in store to answer any technical questions and to help you find the right product. Don't forget, if you order online and spend over £100 you'll enjoy free Next Day Delivery on orders placed before 3pm.